The World of social Media and Facebook. MLM Network Marketing Training Social Media for Home business. This video explains the world of social media and facebook, and where social media is headed in 2012. FREE Social Media Recruiting ebook- “Social Recruiting Power”-over 50 secrets! MLM Network Marketing Home Business Team Building Success Secrets from Steve Jobs. This is a short video with 2 HUGE Secrets to Success building teams as well as a marketing business. It is not only adaptable to a home business, but seems almost focused on it. 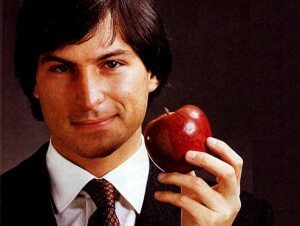 May Steve jobs rest in peace. FREE Social Media Recruiting ebook- “Social Recruiting Power” – over 50 secrets! Video today RULES in the network marketing home business profession. Especially with the powerhouse social site YOUTUBE. Youtube is the second most used search engine in the web with 2.6 billion searches a day. It also still houses over 60% of all video traffic and some days as high as 75%. And it is exceeds 2 BILLION views a day according to our research. On youtube there are over 24 hours of video uploaded every MINUTE. The average person spends 15 minutes a day on youtube. There is more video content uploaded on youtube every 60 days then ALL VIDEO combined loaded up on ABC. NBC, and CBS networks- the LAST 60 YEARS! There are hundreds of millions of videos watched on mobile devices every month (I am one of those people.) That makes Mobile Recruiting a POWERFUL option for your home based business. Ok..knowing this- how can YOU take advantage of such a a powerful visual video force? With a Super Magnetic, Powerful PULLING, Devastatingly Effective Sponsoring video. And THAT would increase your business results dramatically if you simply created that kind of a recruiting video for mlm network marketing. First off, get a FLIP video camera and learn how to use it. Is is VERY simple to use. 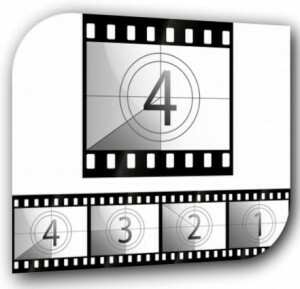 The 5 Secrets of Creating a Recruiting Video. 2. This video is NOT about teaching- it is about REACHING. A devastatingly effective recruiting video for your home business will REACH PEOPLE and MOVE them on the inside. It will move their emotions. That is what it is for. It is NOT to teach them something as that triggers the wrong part of the brain. Teaching activates the LEFT side of the brain. REACHING and MOVING activates the right side of the brain and gets a person EMOTIONAL. Reach them by pointing out a problem that most people struggle with, and YOU used to struggle with, but now do not. Paint a picture of your life without that issue and all the joy and happiness it has brought. 3. Amplify the Problem and give testimonials of those who had it. Give PROOF that the problem is causing a lot of harm and hurt in the world. Give them 3 effects of this problem to everyone’s life and then examples of people that used to struggle with this issue, but now do not. Keep the testimonials but keep them to 10 seconds apiece. 4. REVEAL the Solution that has changed lives including YOURS. Give 3 benefits of how this solution (business or product) has impacted your life and transformed it and then give another guest testimonial. Give away something for FREE. I would suggest an ebook or video that AMPLIFYS the Solution and then begins to TEACH the person WHY this Solution MUST be a part of their life. These are 5 secrets to doing a recruiting video that is devastating and PULLS people towards you like a magnet on steroids. This will increase and explode your results for mlm recruiting for your home business. FREE Recruiting 101 webinar- Recruiting Secrets NO ONE will TELL YOU! Have you ever wondered what the REAL secrets to success in a home business are? What would it be worth if you could discover something that would turn your home based business into a raging success inferno? Would that make a difference in your network marketing business? Often, home business professionals never realize there are few secrets to this business of mlm. But the secrets that are out there- YOU NEED TO KNOW! 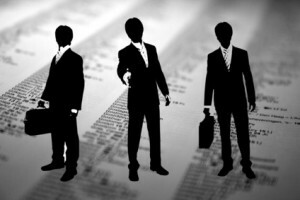 But many have not been revealed in a way that the average network marketer can embrace. That is the goal of this post. 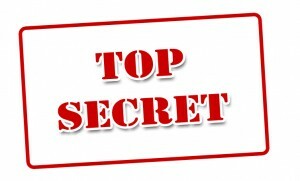 I want to reveal something that has often been ignored, but yet is a HUGE secret to any and all multi level marketing success. Get your pen out and take some notes. My mentor taught me this, and it really is a billion dollar revelation if you embrace it in your home business. Simple enough, but lets get down to the REAL power in that success quote that will explode your mlm recruiting. A lot of truth in that statement. Questions are the tools that Reveal WHO YOU ARE – but also reveal WHERE YOU ARE GOING in your home based business. Questions can either DRAW people towards you – or asking the wrong questions can push people back. What are YOU doing with your questions? But it is NOT the questions you ask the prospect that are the Power hitters. It is the questions that you ASK YOURSELF that truly will determine much of the success that you DO have- or DO NOT have in network marketing. The questions you ask yourself reveal that you either BELIEVE or DOUBT if you are going to success in your mlm business. You should be asking how NOT to be in THAT MAJORITY. If you have questions about your business- maybe you are asking the WRONG QUESTIONS! The Questions ARE THE ANSWER in your pursuit with your home business success. Bottom line: Ask the right question – get the right answer in your mlm network marketing business. FREE Social Media Recruiting ebook- “Social Recruiting Power”-over 50 recruiting secrets! FREE Prospecting 101 webinar- Explode your leads! Watch it NOW FREE! Have you ever tried to ask your prospect to join you in your home based business and they just had no interest at all in your mlm home business? Did it ever cross your mind maybe you are trying to CLOSE them– and not OPEN THEIR minds and heart to live in a place they never thought possible in their life? I want you to get this next MLM Success Secret– whether online or offline. This little network marketing tip will help you in understanding how to PULL someone into your business. And if you MASTER this little secret, you will find that your mlm business will explode. 80% of “closing” is Psychological and whether they join you or not will depend on the picture of VALUE in their mind their emotions have painted. It is the getting there part that seems to be so hard in most people’s mlm network marketing business. YOU can close anyone you want-IF YOU KNOW HOW. What would happen to your ml business if you could close your prospect in FIVE SECONDS? In a recent series of posts, I went over “How to Recruit Someone in 30 seconds.” These series of posts got really viral and it seemed to hit a nerve in a lot of people. WHAT IF as part of that 30 Second Recruiting — there was a 5 Second Close? And there has been for about 5 years. We have been teaching this tactic to our Private Clients and it has proven to be quite effective in getting people into your home business. Some nay-sayers that you cannot “close” someone in 5 seconds. Well, we see it done everyday. And it has changed a lot of people’s business results. Ok…how do you do that? How can you close someone in 5 seconds when it may take weeks to get them to look at your business? If you DO IT RIGHT– you can prepare the prospect for the close from the very beginning. It works and works well. And we have crafted over 25 “5 Second Closes” that have proven to be very powerful using that one word as the anchor word on the close. Here is one of the most powerful 5 Second Closes that we have discovered and it works incredible- AS LONG as you have prepped them by painting a picture of partnership and partners working together. This is one of the most powerful ways to PULL people into your business, and works amazingly. I would encourage you to practice these 5 Second Closes and see if they do not explode your mlm home business recruiting. FREE Social Media Recruiting ebook- “Social Recruiting Power”- over 50 secrets! FREE Recruiting 101 webinar- WATCH IT NOW- FREE! Recruit prospects over your PHONE? Yes- 3 a day! Click to learn how! 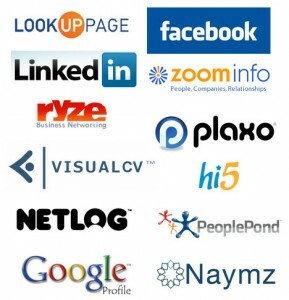 MLM Social Media for home business. What kind of VALUE do you expect when you are thinking of buying something? Is that kind of Value in your home business mlm? What if you would add that kind of Value to your social media efforts-what would happen to your mlm social networking results? The Power of Value in your social media home business is beyond words. Value is THE most powerful word that you can focus on in your mlm network marketing business. Value is the Nuclear CORE of social media marketing and multi level marketing. Are YOU showing and giving Value to your mlm prospects in social media? Value is a Power and Force in network marketing that reigns in social media. 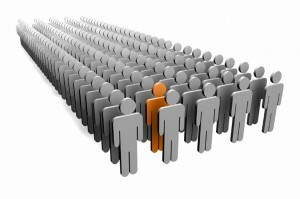 There is no more of a powerful Recruiting MAGNET to PULL people towards you, and to keep them beside you. That is a million dollar secret there- VALUE. If you do not bring some kind of Value to the social conversation, you have missed it. I have tried to bring a lot of Value to all I engage and sometimes I miss the mark, but for the most part, it has been pretty consistent I hope! We need to define what”Value” really is to the prospect because that is all that really matters to them. Anything that a person perceives as Valuable to their life, family, and future. Value that PULLS people towards you is MAGNETIC VALUE. Something that adds to the prospect, enlarges their destiny, teaches, directs, increases their income, improves the way they feel about themselves and how they look, and stirs the powerful force of emotions, happiness, and possibilities in a person’s life. That is what you do in mlm social media for home business. You Add Value and lots of it to people’s lives. The Power of VALUE Agents. Are you a Value Agent in Network Marketing Social Media? Do you bring Value that IMPACTS people- not just seeks something to GAIN for yourself? Real estate agents market real estate. Value Agents market VALUE. There are 4 powerful levels of Value I have found in Social Media Marketing and a Value Agent always is aware of the level they are operating on and the level they are striving to rise to. You need “Magnectic VALUE-this is Value that PULLS people towards you. The 4 Levels of Magnetic VALUE. What are the 4 levels of being a Magnetic Value Agent? 1) The Level of Typical Value. That is the socia response to the leve of Typical Value- consume the information and then move on. It really is tough to build any kind of a following with this low level of Value. 2) The Level of Unexpected Value. This level is when you really start to gain some attention from people in social media. When you have unexpected Value in a video, post, article, comment, or podcast, it Stirs people’s emotions and and makes them pay attention to what you are giving and doing. It FORCES them to FOCUS on your content, message, or idea, as the Value of the content is so great that is takes them by total surprise. It helps them in their life some way, and PULLS them in to take notice of you and your message or content piece. That is how people respond to Unexpected Value- You start to get their attention and it forces them to pay attention to you and and your content, message, or ideas- EVERYTIME you send one out. 3) The Level of Talked About Value. This level of Value is what I call “Have You Heard of….or Did you SEE ?” Value. This is where you are creating and building such Value that the social BUZZ starts and people start talking about your message, content, or ideas. I have seen this a lot in the mlm social media sphere last 5 years, and it has been cool to watch. Folks that are virtually unknown become start. Chris Brogan– s social media superstar, had 10 readers on his blog 5 years ago- and now is THE go to guy in social media marketing and indeed has become a superstar in the social sphere with close to a million monthly readers. People talk about Chris and his blog all the time.. THAT is what I mean when I mention Talked About Value. It is Value that IMPACTS people with great content, ideas, and stirring thoughts. It is being a THOUGHT LEADER in many ways. Thought Leaders n social media today have a tendency to START at this level. That is how people in social media respond to concerning Talked About Value–Being noticed because you bring Value that is so much and so powerful and useful, that people start talking about you and getting you VISIBLE and noticed for the Value you bring to people’s lives. 4) The Level of Multiplied Value. This is the supreme level of Value in social media. This level is where you have given so much Value in a post, video, article, audio, interview, or program that people do not just talk about it-they start to MULTIPLY it. That is the Power and Success of Multiplied Value–They are not just talking ABOUT you- but now, they are TALKING FOR YOU. They are MULTIPLYING Your MESSAGE, CONTENT, IDEAS as it all holds so much Value. You have your own personal causal press release army out in social media getting your message out to tens of thousands of people because they are so touched and moved by your Value and Message that they have no choice but to share it as it MOVED THEM , and they send it out into the social sea. THAT is the NUCLEAR FUSE of social media marketing. When the Value is so great that people want to SHARE IT and SEND IT to everyone they know in the social media world. Create a Social Media Avalanche with How Tos’ –Little Know info on what their interests are and what your mlm business can do for their life, Transforming Thoughts about what they are doing, living, and being, reveal New Social Sites, Directions, New Ideas on what they find interesting, New Possibilities in social media and your home business, and New Focuses that ADD, INCREASE, MULTIPLY, and TRANSFORM who they are and what they are doing. THAT will get noticed, connected to, embraced, and end up being multiplied by a ton of people. Where are you in the 4 levels of a Value Agent? Are you a Value Agent or a Value Obsessed? Let the Power and Force of Value drive your content and message. Make sure your Value and Message and Content bring so much Value to the masses they are Moved to Multiply the Message. MOVE to MULTIPLY – that is a MILLION DOLLAR secret folks. THAT is what will EXPLODE your mlm home business in social media network marketing. FREE Social Media ebook- “Social Recruiting Power”- over 50 recruiting secrets! FREE Prospecting 101 Webinar! Watch it NOW-FREE! 5 Quick Online Recruiting Secrets that WORK! How would you like to talk to someone or send out a message and within 30 seconds your prospect would be wanting more information about your home based business? Would that make a difference in your success in your network marketing? I think you would agree that we live in a microwave fast paced world. Mobile Marketing is starting to become more and more focused on. We recently did a webinar called “Mobile Recruiting University“ which teaches you how to not only quicken the pace of your recruiting, but also your relationship building. And of course, sponsor people from your phone and mobile devices. Our research has indicated that Mobile Recruiting will become the most dominant force within the next 5 years as far as building momentum. Many cannot see that as they say that it will always be a belly to belly business. But HOW you get to the belly to belly conversation will change dramatically. I believe that home business recruiting will change in many ways as far as the APPROACH to it, but not the foundation of it. Speaking of foundation, do you know what the Three Foundational Elements are in MLM Recruiting? These 3 elements will determine 99% of your mlm recruiting success. These 3 elements will influence ALL you do in this business, and will create a LOT of momentum in your home business, or no momentum if you do not follow the Success Path that theses foundational elements offer. Consider these Foundation Elements a “stepping stone path” that walks you through the actual path of network marketing recruiting. It could be considered a “roadway” or a “trail” that you follow to get to the end of the recruiting rainbow. And it does not matter if you are practicing MLM ONLINE RECRUITING…or offline. This Success Path works on ANY form of recruiting. No, I am NOT asking you to go out and get rowdy! Creating a Disturbance is where you are disturbing the prospect with a question, comment, or idea that takes them OUT OF THEIR COMFORT ZONE and into your Uncomfortable Zone. You are creating an “Emotional Touch” with your communication to MOVE THEM some way on the inside. For example- focus on a COMMON PROBLEM in what niche you are working in and bring it up- with a question, or some kind of a comment, or a third party story of someone struggling with it and ask them if they can relate to that. And then Disturb them some more with telling of other people’s pain and how you can relate to the pain as well. AMPLIFY the problem. THIS will get a LOT of people’s ATTENTION. By offering a Solution, you are PULLING them towards you as they are looking for RELIEF from the anxiety that you have introduced to them with on a squeeze page, video, audio, social post, tweet, or article, or any other form of communication. A strong CALL TO ACTION is a MUST in your mlm recruiting efforts. The CTA will PULL the person to relieve that anxiety in their life and DIRECT them to what they need to do- NOW. This will direct them to the place or relief and solution that they so much want to find. How would THAT feel knowing that sponsoring someone is only THREE STEPS AWAY in your home based business? If you use these Three Foundation Elements in your MLM Recruiting, you will find that your home business will explode in your network marketing recruiting efforts! FREE Social Media Recruiting ebook- “Social Recruiting Power”- with over 50 recruiting secrets! FREE MLM Recruiting 101 webinar- Watch Now FREE! 5 Quick MLM Online Recruiting Tips THAT WORK! Are YOU Making this HUGE MLM Recruiting Mistake? Have you ever been in a hurry and because of that you totally blew a great mlm prospect because of your pressure? Did you ever see a network marketing prospect totally turn off because you were a little too anxious? Have you had someone in your online funnel and they disappeared because you came across as too eager? I have seen this in mlm online recruiting so much and well as offline. 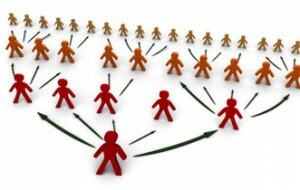 In many networking venues, I have seen people ATTACK the mlm prospect right out of the gate. I have seen this online as well on facebook, LinkedIn, twitter, and it goes on and on. A Professional to his or her prospect that they are talking to whether online or offline. What has that cost you in the past-coming across like you are NEEDY? Prospects in network marketing are NOT looking for the NEEDY. How do you come across like you are NEEDY? 1. You pressure because you NEED to qualify for your paycheck. 2. You NEED a sale to make your quota. 3. You NEED to recruit someone because you need the commissions. 4. You NEED to feel like you are working and not playing at the business. OUCH- that hurt. But it is the truth. Many people come across like they are playing with the business, not working it. Here is a strategy that works online and offline. It is something that has proven to be a MAGNET and a RELAXER for the prospect. I have watched with our Private Clients this work and work powerfully. This little mlm secret is a gem. Simple. You DELAY talking about your products and home business, and in doing so, you disintegrate any and all objections because of the time you have taken to CONNECT with the mlm prospect and learn what they are looking for. THEN you show them how you can help them FIND IT. 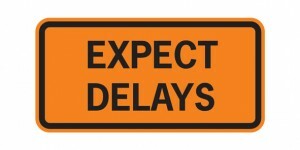 Wait 20 minutes before you ever start your marketing or recruiting efforts. Ask 20 questions before you mention your business. Find out what is important to them and then ask them 20 more questions about it. THEN after you Delayed the business part, transition them into a Recruiting Conversation-whether in social media, or skype, or a cell phone. Powerful but yet gentle for your home business. DELAY the talking about your products and mlm network marketing business, and see if that does not radically EXPLODE your home business success in an mlm conversation. FREE Recruiting 101 Webinar Replay! Discover Little Known MLM Recruiting Secrets! Click here! FREE ebook on Social Media Recruiting- “Social Recruiting Power” – over 50 secrets! Click here! Are you looking for some little known and little taught recruiting tips? 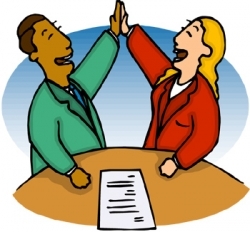 Are you wanting to increase dramatically your recruiting success? Here are some Connection Questions you can use: “Does this make sense so far?” “Are you with me so far?” “Am I being clear enough for you?” “Have any questions so far?” “This is pretty awesome, isn’t it Mary?” These are powerful MLM Recruiting Questions to keep them focused and connected to what you are saying. These are GOLD when you are following up with the prospect. You need to develop a powerful focus that MAGNETIZES the prospect and draws them towards you. When you are holding a conversation with a prospect, make sure they are feeling from you and sense in your words, a “Gift” focus, not a “Get” focus. This is one of the most powerful secrets in MLM Network Marketing recruiting. This one mlm recruiting tip will revolutionize your network marketing home business. If you have been in home business very long, you will see that many MLM distributors try to HYPE and Pressure people into joining. This business of network marketing is NOT about hype. It is all about HOPE and what that brings to the prospect’s future. Hope for a better future and destiny, hope for more money and income, hope for an ENLARGED lifestyle. People will be PULLED towards and MAGNETIZED to hope, but turned off totally by hype. Hype comes from nothng the head and a “ME FOCUS”, and hope comes from the HEART in MLM and Network Marketing with a YOU focus. Start Marketing HOPE, and see your recruiting explode beyond what you can imagine. When you make a presentation, make sure that you are not just AT the presentation and not FULLY ENGAGED in your actions and words. So many people present their products qnd business and they come across like they are on “automatic pilot.” BE IN the presentation, with power, belief, excitement, Leadership, emotion, conviction, and energy. There is nothing worse in my opinon, than sitting in a home business mlm presentation and not FEELING the presentation from the distributor. These are 5 MLM recruiting tips that have proven to not only work, but work well for your netwotk marketing home business. Recruit 5 People a Day from your MOBILE? How? Has Google Panda Updates hurt your MLM Network Marketing website rankings? Has it hurt your search results for your home business? I did a post on Google Panda updates this past week and how they have impacted all the MLM Network Marketing websites around the profession. There were 5 things that I suggested after much research that would help in your “panda recovery” of the logarithm adjustments. I have still been researching it, as our site on certain keywords got hammered. Here are 5 more Google panda “fixes” or website corrections you may want to consider if you have been hurt in any way by this. Over 15% of ALL searches have been impacted by this August “tweak.” and that is HUGE in search. Why did Google do it? To get rid of “Fluff” content and scraper sites. But I must admit it appears to have not worked that well judging from the front page results I am now seeing that sites that little or no content and all they are doing is selling something- are ranking. 1. NO scraped, spun, or unoriginal content. Google has really clamped down on this. They have in their logarithms now a way that they can see if articles and posts are “spun.” Many marketers have been doing this for years diluting the integrity of many article directory sites as well as blog directories. I have always thought it to be somewhat questionable as it tries and manipulates the SE results. Google slapped it down and is now going after the ‘spinners’ and we will see who wins. 2. Always link out to other posts as well as an authority site EVERY post. Google likes to see you spread the love.And liking out to authority sites is one way of doing it. In your post or article, link out to sites that carry some weight in your profession and do it at least once every post. This will show Google you have done your homework and you are making sure that folks know you are going to prove a point by linking to other content that is related to your post. 3. Make sure that your links are high in the article and you use ANCHOR TEXT on your links. This alone is something that could play heavily in the search engine results of your blog or website. I would suggest you link out in the first or second paragraph. This will allow people to start seeing that your content is researched and focused on quality answers and information. And make sure that in your posts, that you use ANCHOR TEXT– “skincare tips” for example that will say what the article is about. Do NOT use the url of the site. Hyperlink it and then you will be more in line with what will work for Google. 4. No Keyword stuffing in your Title, or Article. This is a HUGE NO NO now. You must use keywords but do not OVERUSE them. It will hurt your ranking and search results. This is something that really has been made important in the panda updates and August tweak. I would suggest that you have about a 3-5 % keyword density. And BOLD the keywords to let the reader know what your article is about. This helps the reader have a more powerful experience with your post and article. 5. No Ads or Banners above the fold on your article or post. If you run banner ads and links in your article or post- make sure they are BELOW the fold of the article. Google really has an issue with banner ads and link ads being first in your article. That is just the way it is! 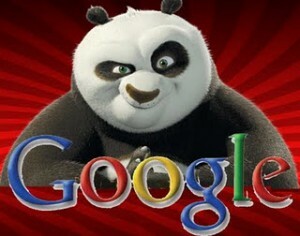 These are 5 Google Panda Update “fixes’ that will help you repair and recover from the updates. Also LINKS still Rule. Do not forget that as you write your posts and articles for your network marketing home business blog or website. Recruit 2 profesionals a day on LinkedIn? How?